Ayurveda, the “science of life and longevity” has its roots in dating back more than 5,000 years. Ayurveda encompasses both ancient wisdom and practical science to create the world’s oldest and most comprehensive system of health care. The objective is not to treat disease, but to address the individual person, bringing him or her back to their unique state of balance. Thus Ayurveda goes to the source of dis-ease to create health, which is defined in Ayurveda not only as optimal functioning of body and mind, but also as the presence of a joyful spirit within. Ayurveda uses a theory of the five great elements; ether, air, fire, water and earth, to describe principles of how nature functions and therefore to understand our own true nature. Ayurveda maintains that we are an intimate reflection of everything in the universe; we are all composed of these five elements. In the human being, these five elemental energies refine into three essential governing principles known as “doshas.” The doshas represent three sets of physical traits and mental tendencies that combine at conception to form the foundation of our unique nature. Through this understanding, one can successfully maintain a state of health and restore vitality when it has been lost. The three doshas are called vata, pitta and kapha. Pitta Dosha, composed of the elements of fire and water, governs digestion and metabolism. Kapha Dosha, composed of the elements of earth and water, governs the principles of structure and lubrication. According to Ayurveda, we are all made up of the 5 elements; ether, air, fire, water and earth. The 5 elements combine to create the three doshas; Vata (air and ether), Pitta (water and fire) and Kapha (water and earth.) We are each born with varying quantities and qualities of the doshas, denoting our unique psychobiological make-up or constitution. One of the three doshas is usually primary, one secondary, and the third least prominent. Health depends on maintaining this proportion in balance. In Ayurveda, it is known that perfect health exists when the three doshas, digestive fire and enzymes (agni), waste products (malas), tissues (dhatus), soul (atma) and mind (manas) are in balance. Vasant Lad, acclaimed Ayurvedic Physician, teaches us that healing occurs when we observe conscious living in the fullness of the present moment. When you know your constitution, and thus your strengths and challenges, you can design your diet, daily routines and habits to regain and maintain a state of health and balance throughout the seasons and your life. It is through knowing yourself that you become your own healer. Vata is derived from the root word “to move”, and this is what vata individuals do very well! They enjoy exercise, adventure, travel and continual stimulation. They favor professions involving travel, change and flexibility. They tend to make money quickly but spend it quickly. Vata people are blessed with the gift of gab. 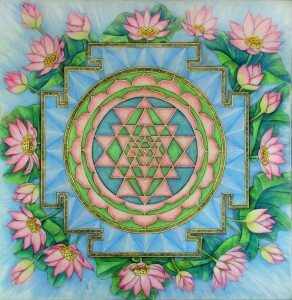 Prana, the vital life force, is the pure essence of vata. Vata governs physical movement, circulation, communication, mental activity, sensory perception, motor function, respiration, heart function and all nervous system impulses. Enthusiasm, joy, clarity and creativity are a few of the psychological roles vata plays. The key qualities of vata and fall alike are dry, light, cold, rough, subtle, mobile and clear. During the Fall season, vata dosha is most predominant. Made up of the ether and air elements, vata is the mobile force of the universe which inspires all activity and movement inside and outside of the body. When these qualities are in a balanced state, the vata person experiences excellent health, stability, creativity and freedom. Ruled by the subtle body, the vata person has the greatest potential for attaining a spiritual life and experiencing love and sensuality on a spiritual plane. Full of imagination, these individuals tend to possess an alert, excited and impulsive disposition. The vata type is naturally light and delicate with dry eyes and skin. With irregular appetites and thirst, vatas often experience digestive and absorption problems. During the fall season, due to the higher level of air and ether elements in the environment, vata people become more susceptible to air related ailments. When the vata qualities accumulate within the body and mind due to wrong diet, lifestyle and season, vata accumulates and begins to manifest various imbalances. Vata imbalances may manifest within the body as constipation, flatulence, dry skin, insomnia, arthritis or sciatica. When out of balance emotionally, the light quality of vata provokes fear, anxiety, loneliness and insecurity. Special care must be taken in order for them to remain grounded, warm and confident. In general, to balance vata, we learn to apply its opposite qualities to any given imbalance. For example, if a vata person is experiencing increased dry quality in their body, we will encourage them to utilize moistening, warming and nourishing foods, remedies and practices. Pitta individuals tend to possess a strong-willed, passionate and fiery disposition. They are the natural leaders in society, being ambitious, organized, bright and disciplined. Pittas favor noble professions and often earn plenty of money to spend on luxurious items. They are the ones who enjoy staying up late at night, burning the midnight oil. The pitta body type is naturally athletic and one of medium height, weight and musculature. Their skin is often freckled, sensitive, oily and warm. Their hair may be straight, silky and oily and their eyes are often sensitive to light. Pittas have intense appetites and thirst. Don’t even talk to a pitta person until they have eaten! It is during summer that pitta dosha, inherently driven by solar force, is most predominant. It is comprised of the fire and water elements. Pitta dosha is the expression of radiant energy, both within our bodies and in the universe. It is this energy that fuels all biochemical activities, including transformation, digestion, metabolism and assimilation. Pitta is responsible for enzymatic and endocrine activity, the regulation of body temperature, pigmentation, vision, intelligence, vitality, ambition, courage and understanding. The key qualities of pitta are hot, sharp, light, liquid, spreading, slightly oily and fleshy smelling. When these attributes build up within the body due to wrong diet and lifestyle, pitta accumulates and begins to manifest various imbalances. When pittas key qualities are in a balanced state, the pitta person exudes bliss, joy, truth and robust health. During the summer season, due to the hot quality, pitta people become more susceptible to heat related ailments. Signs of increased pitta in the body include excessive body heat, heartburn, hyperacidity, peptic ulcers, acne, skin rashes, diarrhea and early graying of the hair. The pitta person is prone to a low tolerance for heat, sunshine, or hard physical work. When out of balance emotionally, the sharp quality of pitta arouses aggression, irritability, anger, hatred, judgement, criticism, and jealousy. Special care must be taken in order for pittas to remain cool, calm and peaceful. In general, to balance pitta, we learn to apply its opposite qualities to any given imbalance. For example, if a person has eaten chili peppers, making their mind sharp and agitated we will treat them with cooling foods, remedies and practices. Pacifying pitta during the hot summer season requires living in harmony with the inherent rhythms of Nature and observing patience and compassion with ourselves, others and environment. Eat foods that are cooling and calming, sweet, bitter and astringent. Coconut, cucumber, watermelon, steamed greens, mung beans and basmati rice are excellent choices. Sipping cool (not iced) water throughout the day keeps pittas fires at bay. When the hot and sharp qualities are acute it is best to avoid spicy, salty, oily and sour foods such as chilis, pickles, french fries and citrus fruits respectively. Due to pitta’s raging appetite, it is in their best interest that they never miss a meal! Enjoy regular, relaxing, peaceful walks in Nature to calm the inherent intensity that a pitta person may experience. Other activities to please pittas senses include swimming, gardening and walking in the moonlight. May we continue to support and encourage each other as we lovingly embrace our unique healing gifts for the benefit of all life. The kapha individual is the synthesis of grace, calm and sensuality. A kapha type has a solid, sturdy body with large bones. Kapha is the archetypal Mother Earth. Kapha individuals are grounded, connected to the physical world and are known as the best huggers. Due to the presence of water, kapha individuals move with a slow and luxurious progression forward in life. 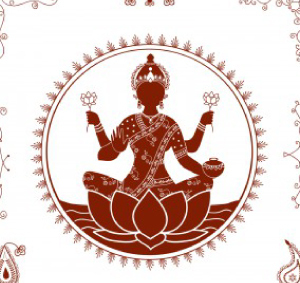 In balance, Kapha is expressed as love, calmness, forgiveness, strength, vigor and stability. Kapha is a combination of water and earth. It is the energy that forms the body’s structure. Kapha supplies the liquid needed for the life of our cells and bodily systems. It lubricates our joints and skin, helps to heal wounds and maintains immunity. Kapha promotes anabolism, the process of building up the body, growth and creation of new cells. The qualities of kapha and winter alike are heavy, slow, damp, oily, slimy, soft, static and sweet. Understanding and recognizing these qualities are important for self healing. When an imbalance has manifested, successful treatment requires increasing opposite qualities. Ayurveda classifies the seasons according to their predominant dosha. The seasons of winter and early spring have the dark, heavy, damp and cloudy qualities of kapha. We will discuss the fundamental aspects of kapha dosha, the kapha individual and how to care for kapha to avoid the colds, coughs, allergies and sinus congestion common in winter and spring.